April | 2014 | Hike. Camp. Hike. 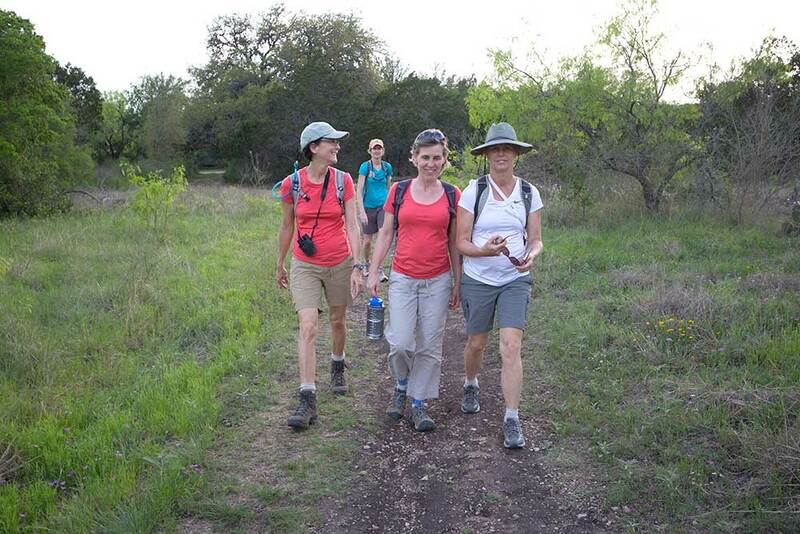 Suzanne, Maria, Bettina and Kelly hiking along the Far Reaches Trail. Travel Time from Austin: 2 hours. We took IH35 on the way to the park and ran into traffic. The Google maps lead us to a road that is gated off with no access to the park. We called and got directions from the helpful rangers at the park. Evidently we aren’t the first ones who have been lead astray by using google maps to get there. We took 281 to get back and preferred that route. Park Notes: We were happy to find the Government Canyon’s staff informative and super friendly when we asked for insights on hiking in the park. Government Canyon has miles of trails which are well maintained and easy to follow. We weren’t quite so happy about the sharp, rocky tent pads at the campsites. Campsite: G15 – Group Tent Campsite – walk in 60 yards. It has a 16 person capacity but we were pretty tight on space with our 5 tents. The trailhead to the Recharge Trail is right outside this campsite making it convenient to get started on our hikes. Equipment Highlights: Bettina and Suzanne managed to buy the same shirt in the same color. It’s a Tech T Lite shirt by Icebreaker, 100% merino wool in Shocking (that’s the official color name, we called it coral). It’s lightweight and the has the super-power of being naturally odor-resistant. It seemed to work, they both wore the same shirt for two days of hiking and seemed completely un-smelly! 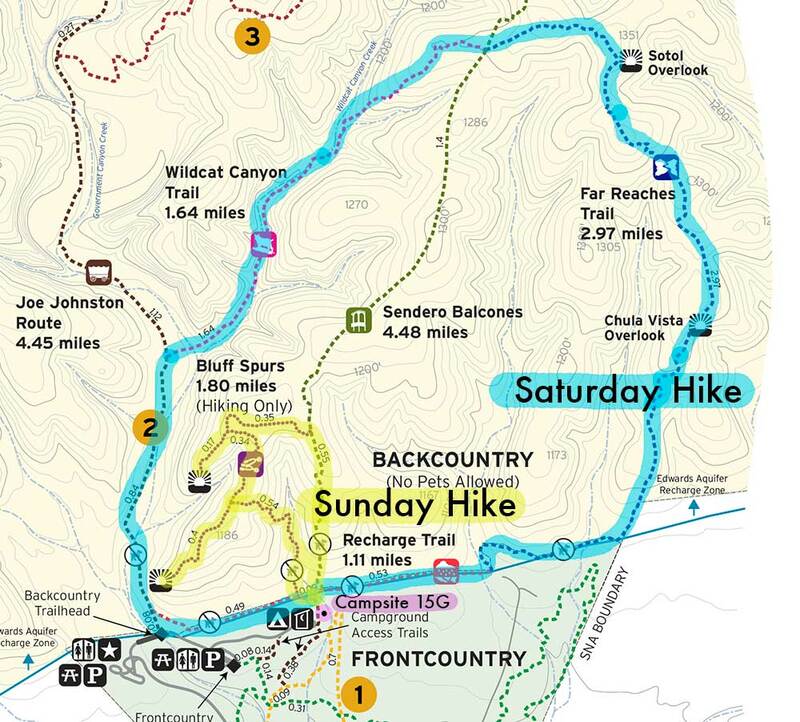 Saturday Hike: Started at trailhead right outside G15 campsite took Recharge Trail to Far Reaches, Wildcat Canyon looping back to Recharge Trail. We hiked about 7 miles. Sunday Hike: Started at the same trailhead and hiked Bluff Spurs tail including two scenic overlooks. Total hike about 3 miles. See more photos from the Government Canyon State Natural Area here.